Inquiry: Does this machine cut pork bones as well? 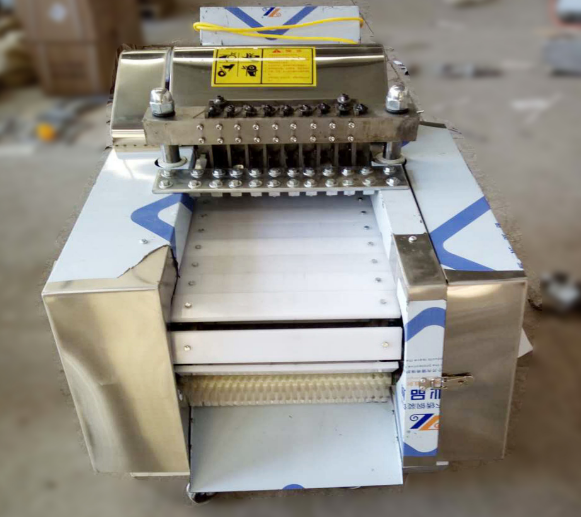 Continuous automatic chicken/frozen meat cutting machine could chop chicken, duck meat, small and medium animal bone, ribs, frozen meat, fresh meat, frozen chicken, chicken leg, etc., can be chopped lump, section, strip and others, shape/size could be adjusted according to need. 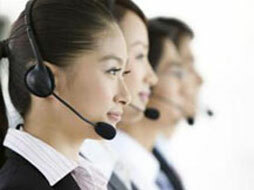 Inquiry 1: Dear sir, Please send the Quotation & lead time delivery. Inquiry 2: Does this machine cut pork bones as well? ※Working speed is full automatic mode.up to 50-90 kg/10 minutes. 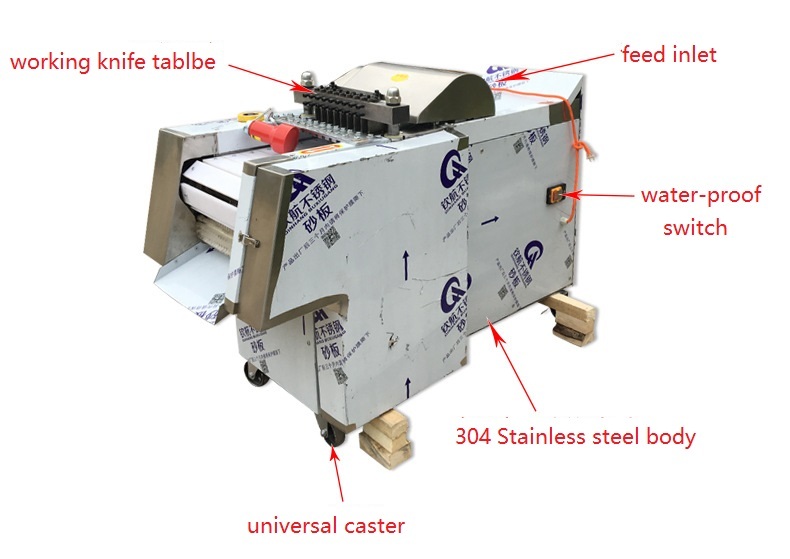 ※It is designed with a plane body, and the whole stainless steel seal plate is in line with food hygiene and easy to clean. ※With stainless steel door, surface special treatment, easy to clean and maintain. ※Thickness adjustment platerib design, can adjust the processing thickness, will not shake when moving. ※With safety pressure bar design, it can improve work safety. ※The machine is waterproof, easy to clean, safe and hygienic. ※Compact structure, beautiful appearance, simple operation, high efficiency, low power consumption, easy cleaning, and good cutting effect.